White cotton handkerchief with green and grey stripe pattern. 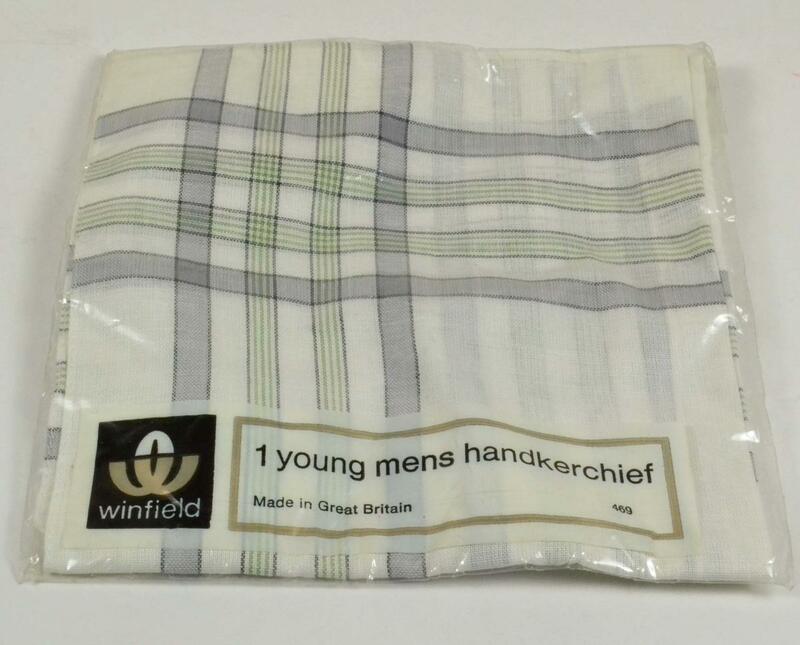 In original 'Winfield' packaging. Forms part of the contents of a gift bag created around 1974 by Jo Castleton when she was a member of the 6th Addiscombe Junior Red Cross Pack, based near Croydon.